Aug. 8, 2018 - Stella-Jones Inc. has announced financial results for its second quarter ended June 30, 2018. “Second quarter results demonstrated strong sales growth and quarter-over-quarter improvement in operating margins. Sales increased in the utility pole, residential lumber and logs and lumber product categories driven by increased sales prices and market demand. This performance was partially offset by temporary headwinds that have continued in our railway tie product category, primarily related to the transitioning of a Class 1 railroad customer to a full-service program. We are also pleased to see our EBITDA margins improve sequentially by 1.1 per cent over the first quarter, in-line with our expectations. Looking forward, we are on track to improve our operating margins in the second half of the year, when compared to the first half, but the pace of improvement will be mitigated by increasing untreated railway tie costs in the short term. As always, we will continue to remain focused on optimizing our operations across the organization while diligently seeking market opportunities in all product categories,” said Brian McManus, president and chief executive officer. Sales for the second quarter of 2018 reached $662.3 million, versus sales of $594.2 million for the corresponding period last year. 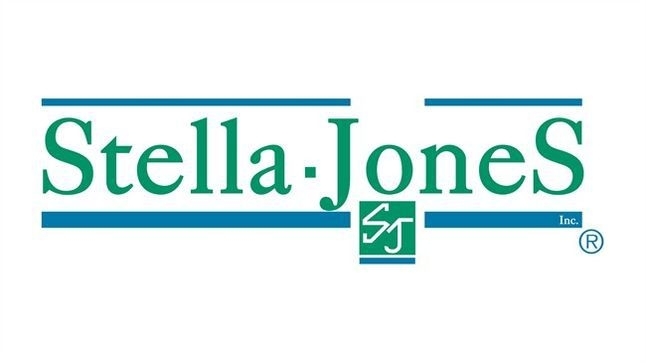 Acquisitions contributed sales of approximately $26.0 million, while the conversion effect from fluctuations in the value of the Canadian dollar, Stella-Jones’ reporting currency, versus the U.S. dollar, had a negative impact of $18.6 million. Excluding these factors, sales increased approximately $60.7 million, or 10.2 per cent. Railway tie sales for the second quarter of 2018 amounted to $201.3 million, representing a decrease of $12.9 million from sales of $214.2 million in the corresponding period last year. Excluding the currency conversion effect, railway tie sales declined approximately $4.7 million, or 2.2 per cent, primarily as a result of the Company supporting the transition of a Class 1 railroad customer from a “treating services only” program to a full service “black-tie” program. Utility pole sales reached $179.3 million in the second quarter of 2018, up 7.1 per cent from sales of $167.5 million in the corresponding period last year. The currency conversion effect reduced the value of U.S. dollar denominated sales by about $6.4 million when compared with the second quarter of last year. Excluding the contribution from acquisitions and the currency conversion effect, utility pole sales increased approximately $17.6 million, or 10.5 per cent, driven by higher volume for replacement programs coupled with increased sales prices. Sales in the residential lumber category totalled $203.6 million in the second quarter of 2018, versus $153.2 million for the corresponding period last year. Acquisitions contributed sales of approximately $19.0 million, while the currency conversion effect decreased the value of U.S. dollar denominated sales by about $2.5 million when compared with the same period last year. Excluding these factors, residential sales increased approximately $33.8 million, or 22.1 per cent as a percentage of sales, primarily from higher selling prices, as a result of lumber cost escalations passed through to customers, and to increased volume due to the Company’s expanding market presence. Industrial product sales reached $32.8 million in the second quarter of 2018, compared with $27.1 million in the corresponding period last year. Excluding the contribution from acquisitions and the currency conversion effect, sales increased 3.3 per cent, primarily related to projects requiring treated laminated products. Sales in the logs and lumber category totalled $45.3 million in the second quarter of 2018, compared with $32.2 million in the corresponding period last year. This significant increase reflects higher selling prices due to increased lumber costs coupled with increased harvesting activity related to procurement activities to support strong pole sales. Since this product category does not generate any margin, the sales growth reduced overall margins as a percentage of sales. Operating income stood at $71.0 million, or 10.7 per cent of sales, compared with $74.5 million, or 12.5 per cent of sales in the corresponding period last year. The decrease in absolute dollars is partially explained by the sharp increase in untreated railway tie costs in the second quarter and the company’s support of the transition of a Class 1 railroad customer from a “treating services only” program to a full service “black-tie” program. To accelerate this transition, the company acquired untreated railway ties from the Class 1 railroad customer which increased cost of sales once these ties were treated and sold. The decrease is also attributable to higher operational costs in the U.S. Southeast, where Stella-Jones continues to focus on reducing its cost base and improving logistical flow. In addition, the higher lumber costs, which are passed through to customers via higher selling prices, have contributed to increased cost of sales but have also put downward pressure on margins as a percentage of sales. These cost increases were partially offset by the effect of currency translation. Net income for the second quarter of 2018 was $48.1 million, or $0.69 per diluted share, versus $48.9 million, or $0.71 per diluted share, in the second quarter of 2017. For the first six months of 2018, sales amounted to $1.1 billion, versus $991.1 million for the corresponding period last year. Acquisitions contributed sales of $29.1 million, while the currency conversion effect had a negative impact of $34.8 million on the value of U.S. dollar dominated sales. Excluding these factors, sales increased approximately $75.7 million, or 7.6 per cent. Operating income reached $106.5 million, or 10.0 per cent of sales, compared with $115.3 million, or 11.6 per cent of sales last year. Net income totalled $71.2 million, or $1.03 per diluted share, versus $74.8 million, or $1.08 per diluted share last year. On April 9, 2018, the company completed the acquisition of substantially all of the operating assets employed in the business of Wood Preservers Incorporated (“WP”), located at its wood treating facility in Warsaw, Virginia. WP manufactures, sells and distributes marine and foundation pilings and treated wood utility poles. Sales for the twelve-month period ended December 31, 2016 were approximately US$34.6 million. Total cash outlay associated with the acquisition was approximately $27.5 million. The Company financed the acquisition through its existing syndicated credit facilities and has recorded a balance of purchase price at a fair value of $3.3 million. As at June 30, 2018, the Company’s long-term debt, including the current portion, stood at $581.2 million compared with $455.6 million as at December 31, 2017. The increase mainly reflects higher working capital requirements, financing required for the acquisitions of Prairie Forest Products and WP, higher capital expenditures as well as the effect of local currency translation on U.S. dollar denominated long-term debt. As at June 30, 2018, Stella-Jones’ total debt to EBITDA was 2.5x, up from 1.9x as at Dec. 31, 2017. On Aug. 7, 2018, the Board of Directors declared a quarterly dividend of $0.12 per common share, payable on Sept. 21, 2018 to shareholders of record at the close of business on Sept. 3, 2018. Based on current market conditions and assuming stable currencies, management expects higher year-over-year overall sales for Stella-Jones, driven by pricing as well as increased market reach for the residential lumber, utility pole and logs and lumber product categories. Operating margins are expected to improve in the second half of 2018, when compared to the first half of the year. However, the progression of operating margins in the second half of 2018 will be slowed down by increasing untreated railway tie costs until sales prices can be adjusted. The company plans on spending between $30.0 million and $40.0 million on property, plant and equipment in 2018 and its overall effective tax rate is expected to be approximately 26.5 per cent. For details per product category please refer to the Management’s Discussion and Analysis for the quarter.